Buy Methi Khari of Dotivala from Surat online | Authentic Indian Sweet , Savories and Delicacies from the place they originate by Moipot. 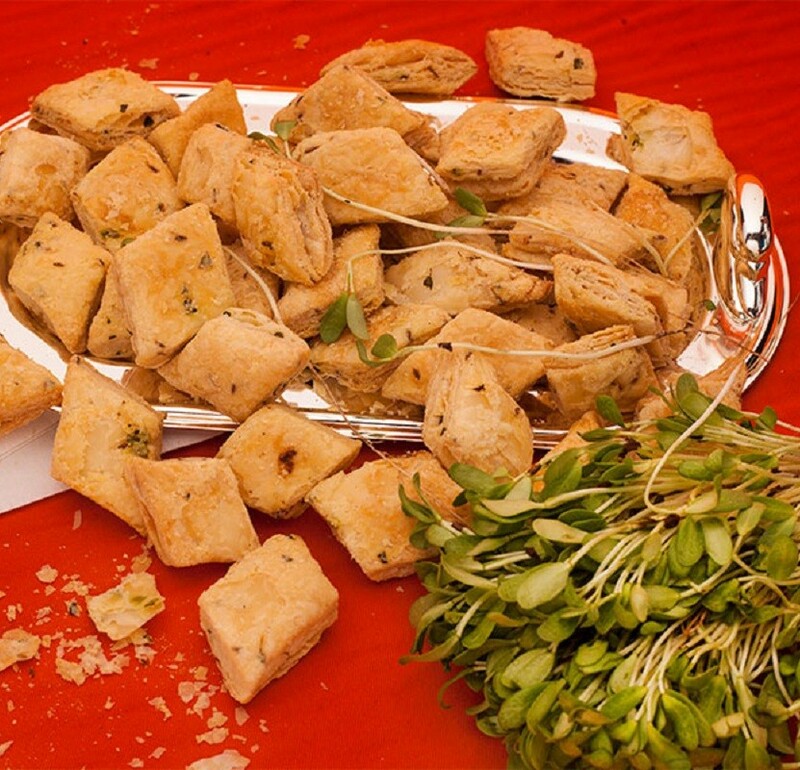 Methi khari (puffed pastry) is another great tea time savoury. A spicier version of the regular khari, this crispy, flaky bites has great flavour and crunch. It works great for kid’s school tiffin boxes. 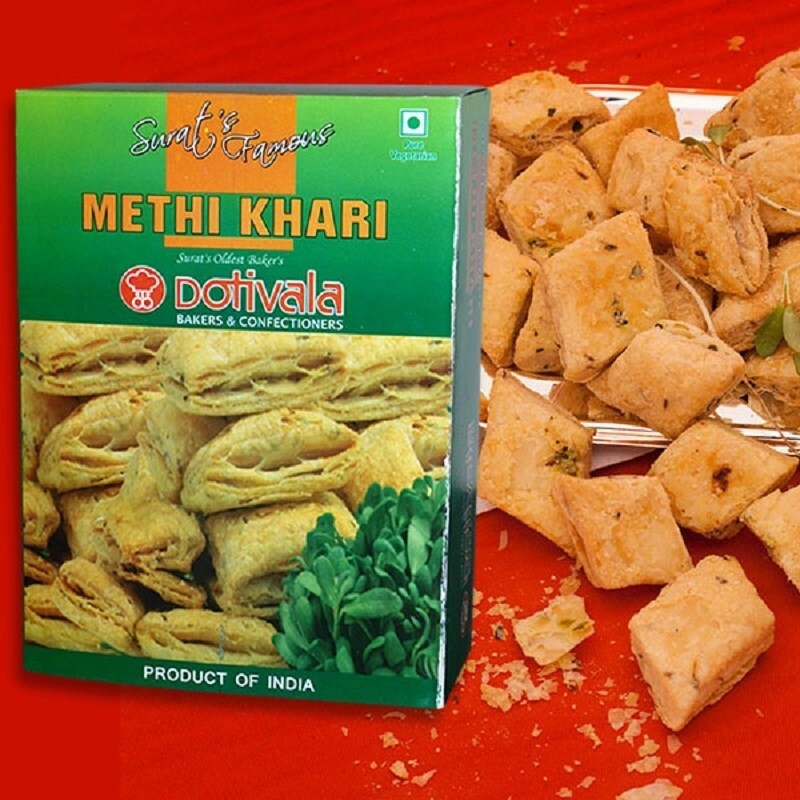 Methi khari by Dotivala is something which you can eat anytime as they are healthy and delicious too! Yes, we can deliver it to you in USA. Please drop us a mail at support@moipot.com with the list of items you would be interested in. Charges would be quoted accordingly.